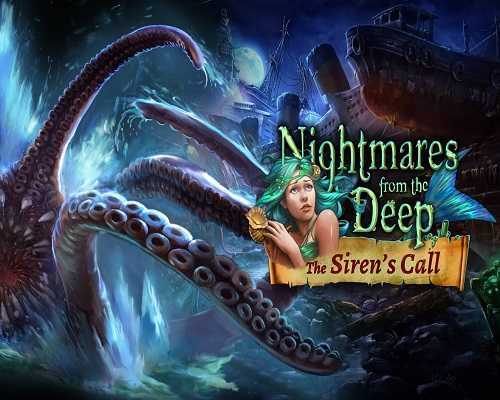 Nightmares from the Deep 2 The Sirens Call is an Adventure and Casual game for PC published by Artifex Mundi in 2013. Fight against your nightmares! This epic adventure features an exciting plot full of outstanding puzzles and unforeseeable twists and turns. Nightmares from the Deep: The Siren`s Call is the sequel to the smash hit Nightmares from the Deep: The Cursed Heart. When Sarah Black, curator at the Caribbean Naval Museum, receives a package from a mysterious messenger, she is unwittingly drawn into an ancient conflict. Inside the package she finds an artifact, and instantly assailants descend on the museum to rob her. The artifact is stolen. A great follow-up to the first Nightmares from the Deep game. The story is simply great, tying in both to the previous games’ Davy Jones myth as well as legends of sirens and will keep you wanting to play to the end. There is also Bonus gameplay in Nightmares from the Deep 2 The Sirens Call: an additional adventure, telling the story of the praetorians who seek redemption after decades of serving Major Murray. 0 Comments ON " Nightmares from the Deep 2 The Sirens Call Free Do... "